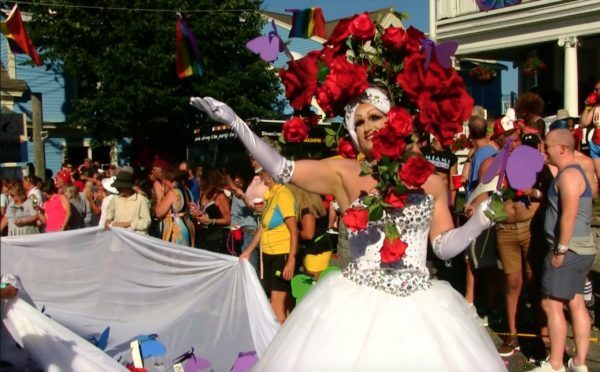 Last summer Rik Ahlberg and queerguru covered ‘CandyLand’ P.Town’s Carnival for P.T.V. On the eve of this year’s Carnival ‘Back To The ’80’s’ here is a very brief look at some of the things + people we came across when we went looking for candy on Commercial Street. P.S. Queerguru would love you to bits if you did us one tiny favor. Despite the fact that we have had almost 285K hits on YouTube (yeah!) they will not give us a single cent of the advertising money that they make off us until we have more subscribers. Won’t cost you a dime, but it will help support our site. Just simply click on the link below. Thank you very much! 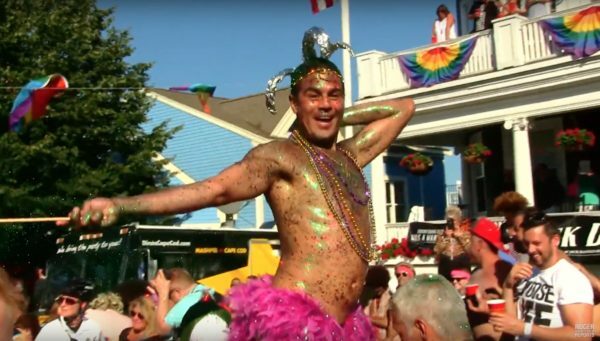 The streets literally went completely glittery when Manuel and his friends showered all the crowds the entire length of the Parade route of the P Town Carnival this year. queerguru caught up with him later to find out his story. Filmed by Judy Rolfe for P.T.V. Amongst all the merriment of P Town’s Carnival , two brothers from Chicopee, Massachusetts created their own tribute to the victims killed in Pulse Nightclub, Orlando by adding a 49 foot train that containing 49 butterflies on their 80’s supermodel dress. queerguru caught up with them after the Parade.